The Rise of the narrow lot home has been an interesting thing to watch in the building industry. It has caused builders to have to think outside of the norm; the norm in home designs Perth has tended to be large land lots and reasonable house sizes (generally speaking). But now with narrow lot homes, people are wanting space but on a narrow lot. How is this possible? We have seen this be made possible with the rise in two storey homes Perth wide. People are wanting to live in a nice house but closer to the city, and the only way this is possible now is with the narrow lot and a two-storey design… if you don’t want to break the bank. But don’t be misled, the narrow lot does not have to mean ‘small’, in fact, a benefit of the narrow lot is a great fresh balcony and alfresco designs to maximise living space. In saying this, let’s look at a few ways you can increase the potential of a narrow lot. 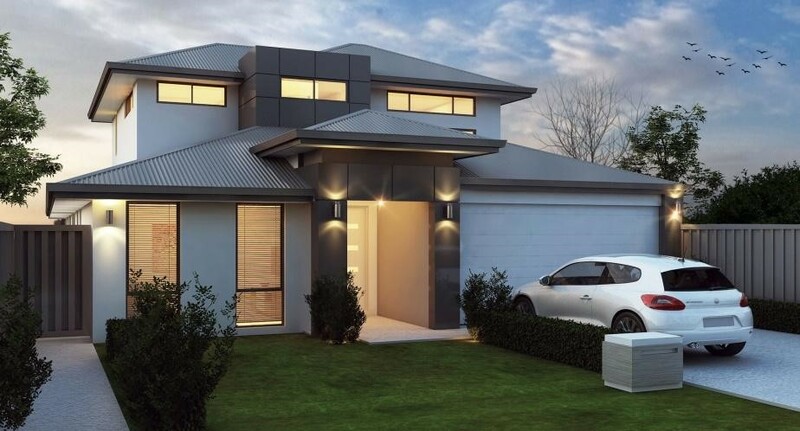 There are many Builders who build fantastic two storey homes and single storey homes Perth, but do many of those Perth home builders have narrow lot plans? These are the plans you want to be able to look at and imagine the living areas. When you have a large lot of land and a reasonably large house on it there is a lot of money and upkeep on the surrounding elements of your house, e.g. garden, pool, driveway etc. Unlike a narrow lot where you have minimal outside yard to look after you can put all your time and money into making your living areas the best, they can be. Allowing light to flood into your narrow lot house is great because it brings the outside in. It can bring a sense of space into otherwise tight places. It is also more energy efficient because you tend to use less power with light if you have natural light. You will need to be creative with your storage solutions. Because the house design may result in less storage space, you will need to think outside the box. Some great ideas in this area are to use the undercroft of a staircase or buy furniture that has inbuilt draws and or cupboards. Make sure that the builder you go with understands your lot style. If they don’t know the measurements of the frontage, or maybe how close the neighbours wall is they will not be able to help your house design suit best. If you have a little patch of outside grass out the back, then a good builder will utilise the back patio and windows to make it feel like the back of the house and the backyard are like one long stretch of inside and outside. It makes for great entertaining and a feeling of space where there may not be. With 25+ years’ experience in building beautifully designed homes with unparalleled quality; Great Living Homes continues to be the home builders to go within Mandurah, Perth and the surrounding areas. For more help and guidance with your narrow lot homes contact Great Living homes today.